Log your baby - the easy route for parenthood? Sleepless nights, babies crying, and post-natal depression coupled with the stress of parenthood? All of the above sound way too familiar, isn’t it? For all of you who are in the midst of raising a baby, isn’t it difficult to imagine how people can bring themselves to mention the words “the joys of parenthood”, when all you feel are the stresses, worries and anxiety in wanting to keep a baby healthy? As you might have guessed, many tech geeks out there have felt just the way you do, and all they want to see being destroyed are the all-too-common “woes of parenthood”. Superheroes in the making? Well, maybe. Read on to find out the kinds of products already out in the market that you can use to monitor and log your babies’ health, as well as the downsides of this superhero fantasy. In monitoring a baby’s vital signs, there exist two kinds of wearable tech gadgets already released in the market. 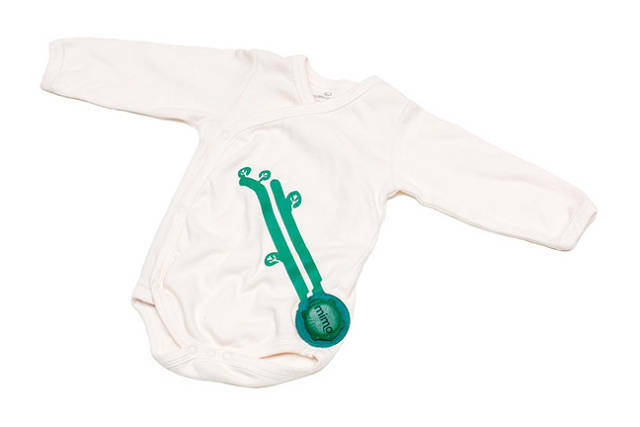 In the picture above, you would find the Mimo onesie, designed for comfort and subtly measuring a baby’s vital signs like breathing, skin temperature, body position, and activity level in real time, simply by combining organic cotton kimonos with wearable sensors. These measured vital signs are then wirelessly transmitted to the parents’ smart phones, alerting parents of any signs of deviation from the norm. Interested in getting one to free yourself of unnecessary worries? The Earlybird Mimo starter packs retail for just $100, consisting of 3 Mimo baby suits, 1 Turtle, and 1 Wi-Fi Lilypad. You could get one here on their crowdfunding platform! And if connected onesies are out of the question because your relatives and friends have already stocked up 3 years worth of baby clothings, then perhaps the Owlet baby monitor that you see in the picture above is more suited for your needs. This sock boasts of its ability to likewise measure a baby’s vital signs, while being hypoallergenic, safe and easy to wash (the electrical components are safe in water-resistant silicone case). The measured vital signs are then also wirelessly transmitted to the parents’ smart phones, alerting parents of any signs of deviation from the norm. On the flip side, this new market in wearable tech gadgets for the quantified baby is not without criticisms or concerns though. Notice how both the products above wirelessly transmit data to the parents’ smart phones? Experts have raised concerns that this transmission could potentially do more harm than good to the baby. But of course, while this remains as a very valid concern, the effects of these gadgets are still an unknown. Much like how people are still concerned with the relationship between the use of cell phones and the rate of cancer even though experts have explained that there is no direct correlation between the two, these baby-logging devices are bound to raise concerns even after they go mainstream. Would you, as a parent, use such devices to reduce your parenthood stresses? Let us know in the comments below!